STARK is a fully fledged amplifier simulator consisting of four modules: Amplifier, Cabinet, Room and effects slots. These modules are processing audio separately, which makes it possible to combine different amplifiers with different cabinets and rooms. The amp module offers 12 different amplifier profiles. It has both a clean mode and a overdrive mode, an equalizer functionality (including presence), and a booster controlling the end stage amplification saturation. Cabinet simulation consists of 10 different cabinets of various sizes and sound. This module also offers a stereo width knob that simulates the distance between two microphones put in front of the cone. Room simulation offers 6 different kinds of rooms, where each room size can be changed between Small, Medium and Large. There’s also a decay parameter controlling reflectivity of the walls and a dry/wet mix. The pedal board contains 4 slots where any of the 14 effects can be inserted. The order of the pedals can easily be changed using drag and drop. There are also about 100 predefined factory presets covering most scenarios. Obs! STARK consumes a lot of CPU and RAM, so if you’re having trouble using multiple instances at the same time, try to freeze some tracks and/or increase the buffer size. STARK is an AUv3 plugin that only works in an AUv3 compliant host like Garageband, AUM, Cubasis, Beatmaker 3, Auria etc. 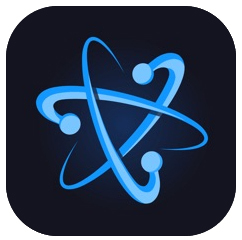 Atom Piano Roll is a sequencer for iOS, and the first in our Atom series of modular sequencer plugins. 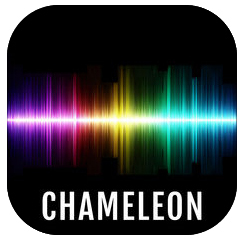 Record, replay, loop and manipulate MIDI notes anywhere. The MIDI audio unit can be loaded in compatible hosts (AUM, ApeMatrix, Audiobus, BeatMaker 3, Cubasis 2, etc.). Make sure your host is capable of loading, transmitting to, and receiving MIDI from audio unit MIDI plugins. It’s intended to augment existing MIDI processing capabilities, or in scenarios where a host doesn’t provide sequencing functionality out of the box. Grow your ideas over any number of bars. 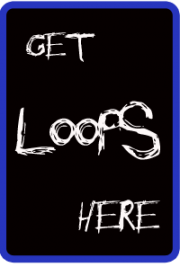 Overdub drum loops, layer complex melodies, or even record an entire track. Arm recording in multiple instances, in the background, receiving from hardware or even other audio units. Piano Roll is always sample accurately synced with the host. Quickly create sequences. Insert notes respecting grid length, and resize them to any duration. Layer chords in one operation. Just send the notes, Piano Roll takes care of the rest. All the standard editing tools you are used to are implemented, pen for entering notes at any length, brush for painting continual notes at grid size and scissors for slicing. Advanced tools allow you to be productive. Grow notes backwards or forwards. Group notes with additive selection. Select rows or chords in one operation. Time and pitch flip. Velocity editing is precise and unobtrusive. With Piano Roll, anything you need is a tap, hold, or swipe away. Quantised or not? You decide when, and how much! Enable full quantisation beforehand with grid snapping. Turn it back off, or adjust the strength afterwards on an already recorded sequence. Choose the quantisation percentage for note starts, note ends and even note durations. In Piano Roll, you have full control over timing precision. Stretch a clip from 4 bars to 8. Fix the note lengths or extend them in harmony. In Piano Roll, your sequences are elastic. Does 4/4 sound boring to you? Create complex polyrhythms by choosing any timing. From 3/8 to 11/8. From 2/1 to 17/16. Piano Roll lets you invent your own rhythm. Negative BPM? No problem. Pick a tempo for every clip and play backwards or forwards. Multiply host tempo or choose something arbitrary, all with extreme accuracy. Piano Roll gives you control over tempo like never before. Never go outside a scale, or go chromatic and add spice to the melody. With scale overlays, your music isn’t forced to sound in a predetermined way, and you aren’t forced to be a music theory genius to sound the way you want. Piano Roll gives you the ability to decide in which key to be and when. Aid composition by overlaying other clips from other plugin instances over the one you’re editing. Make sure your chords are in harmony with the melody, visually. Piano Roll roll helps you focus where you need, when you need it. Your sequences are saved alongside the project you already work with. And they’re loaded back automatically when opening up a project. Clips can be saved as host presets. Piano Roll is in perfect harmony with the host you already use. 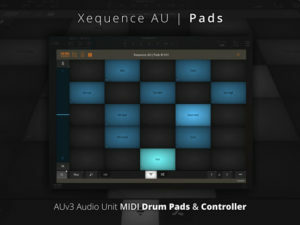 Xequence AU | Pads is an expressive and fully editable (drum) pad surface for use inside AU (Audio Unit) hosts like AUM, Cubasis, apeMatrix, etc. 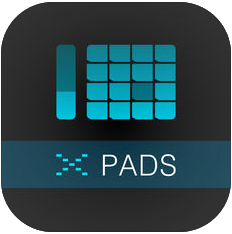 It features the same, widely acclaimed pad editor that users of Xequence, our advanced MIDI workstation, have grown to love. Wilsonic is your portal to new musical universes. Ervin Wilson’s 65 years of tuning research and discovery are now at your fingertips. By touching, hearing, and feeling Wilson’s designs you can intuitively break free of the limits of the 12 note scale used by historical musical instruments such as the piano and guitar to pioneer new music never-before heard by mankind. Select the Wilsonic “Instrument” popover and choose Synth One or D1. If you have the app installed and running it will load the tuning. Synth One will save the tuning in the User Tuning Bank. No previous knowledge of music theory is required. These tonal worlds are based on an entirely unique mode of thought that has little to do with historical musical thinking. 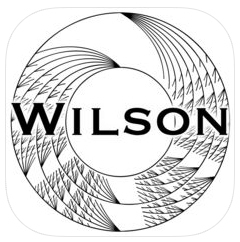 The app features Wilson’s most profound scale designs. Your hands and ears naturally find new melodic patterns and harmonies that touch on those feelings and emotions you couldn’t find before. When you find that perfect scale export it as a Scala file to tune up your favorite software synthesizers. Share your favorite scales with your friends. This version of Wilsonic has the scales “Moments Of Symmetry”, Co-Prime Grid, Tetrany Major, Hexany, Tetrany Minor, Mandala (Hexany Stellate), Tetradic Diamond, Hexany Diamond, Aggregate Rotations of Euler Genus 4, Eikosany, Partch 43, Harmonic Spiral, Highland Bagpipes, and Recurrence Relations. 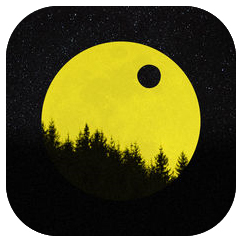 Wilsonic is Audiobus 2.3.x compatible.